Saving you money with preventative maintenance. Waterproofing to conquer New England weather. Trust your gutters to us. Maintenance you can depend on. Roofing shingle services from the experts. Break even on solar panels in 5 years. Eagle Rivet Roof Service Corporation is Connecticut’s Premiere Roofing Contractor. Eagle Rivet has been a testament to craftsmanship and service for nearly a century. In addition to our centrally located corporate headquarters in Bloomfield, CT, we also operate out of our branches stationed in Lowell, MA and Coral Springs, FL. This allows Eagle Rivet Roof Service, Inc. to provide high quality service to the Greater New England/Westchester County, NY areas. Our expertise in choosing, installing and maintaining state-of-the-art roofing systems is second to none. Our experience in roof repair and preventative maintenance and our comprehensive project management skills, has helped us create a fantastic reputation that we’re very proud to uphold. Visit our service pages for examples from our portfolio of roofing projects. 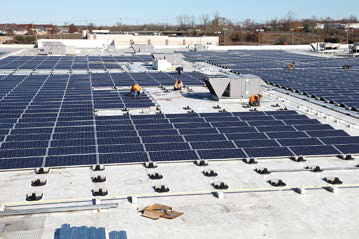 We serve the residents and property owners of Connecticut, Massachusetts and Florida with commercial flat roofs, residential roofing systems and specialty roofing with solar photovoltaic (PV) panels and vegetative features. We utilize a highly skilled team of craftsmen to serve all sectors with roof repairs, roof restoration and roof design and construction. Eagle Rivet will always tell you exactly what to expect from any roofing project we undertake. And that’s because you deserve nothing less! We are completely committed to providing accurate estimates and high levels of customer communication. Your business is valuable to us! 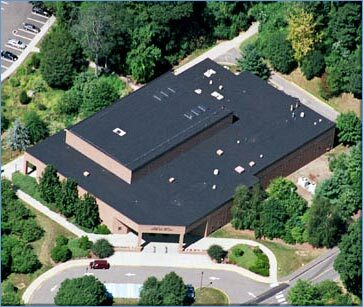 Eagle Rivet Roof Service Corporation services New England from headquarters in Bloomfield, CT. Looking for warranty repair, installation, or information about a specific roofing material, roofing supply brand or manufacturer? Eagle Rivet has the experience and detail oriented approach to advise you on all of your choices and opportunities. Our high level of craftsmanship and professionalism hasn’t just earned us recognition from satisfied clients, but also awards from manufacturers. Eagle Rivet has been the recepient of several Firestone Master Contractor Awards, as well as the Firestone Inner Circle of Quality Award. And Firestone is not the only manufacturer that has recognized the Eagle Rivet commitment to quality – we’ve also received recognition from Siplast, Sarnafil and several other roofing manufacturers. 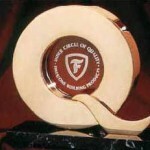 Read more on our Awards and References page.